When you are faced with making decisions about the future of your finances, gifting assets to your children, and what will happen to your estate when you are gone, you may forget a crucial element: planning for your medical future. A medical power of attorney is specific to your future health care needs, and differs from a living will or a regular power of attorney. Having a medical power of attorney in place, before you need it, will ensure that your future health care decisions are handled the way you want, and that your family members will be able to execute your wishes if you are unable to do so. I have a living will, that covers all of my healthcare directives, right? While a living will can grant power to someone making medical decisions, it is intended for end of life concerns, such as refusing life support, not for all of the smaller healthcare decisions that might occur. A durable power of attorney for healthcare will include all medical decisions that will be made on your behalf if you are unable to make them yourself. A living will is directed towards your doctor to instruct them what to do in the case of end of life care. A healthcare power of attorney appoints another person to make medical decisions for you, called your healthcare agent. While a living will allows you to outline specific future medical decisions (such as whether you want a feeding tube), a medical power of attorney gives your agent the ability to make decisions for unforeseen healthcare concerns. You can have both a living will and a healthcare power of attorney, and ensure that all of your medical decisions are covered. It is a big decision when you choose your healthcare agent, as this person will be responsible for all of your medical decisions if you are unable to make them. This could include withholding surgical treatments, electing not to be placed on life support, or choosing home hospice care. You want this person to be someone that you trust implicitly, and that you think will be able to use their best judgement to make the same decisions that you would make if you were able. You are able to make your healthcare power of attorney as broad or as narrow as you would like, and include as many possible scenarios as you wish. However, there is no way to adequately plan for every future medical event, so you want your healthcare agent to be someone who can make decisions for you that were never covered in your heathcare power of attorney. If you are legally married your spouse is already granted by law the ability to speak on your behalf unless you have chosen someone else, and if you are a minor your parents also have that right. You could also exclude decisions from your medical power of attorney, such as sharing your medical records and information. It is best if you can not only write down your wishes for your healthcare agent, but have ongoing conversations with them about your care. The better they know you, and what your thoughts are on future medical care, the better they can make the right medical decisions for you. You want to choose someone who will be able to ask challenging medical questions and is not intimidated by healthcare professionals, and someone who can keep their personal opinions out of the equation and focus on your written wishes. One important thing to consider is that you cannot appoint your doctor as your medical power of attorney, and anyone providing you medical, dental, or mental health care cannot be designated. You should consider not only appointing a healthcare agent, but also a backup in case your original choice is unable to fulfill their duties. 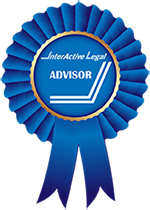 What Constitutes a Valid Medical Power of Attorney? The key to a valid medical power of attorney is that it is created and signed while you are still of sound mind and able to make legally binding decisions. While you can choose anyone besides a healthcare provider as your agent, the person must also be over 18, or must be a mature minor (determined by an examination). Your medical power of attorney must be in writing, and it must be signed and dated in front of witnesses and acknowledged by a notary. After you have the correct forms in place you need to make sure they will be accessible to your agent in the event you are unable to make your own medical decisions. Your healthcare power of attorney should include a HIPPA (Health Insurance Portability and Accountability Act) release form that will be effective immediately so that the agent you choose will have access to your treatment information and type of care you receive. You can revoke your documents at any time you are still of sound mind; you will just want to make sure that your healthcare providers are aware of the change. If someone believes that your agent is not making the best decisions on your behalf they can take have a court revoke the authority and rename someone else as agent. When Does a Healthcare Power of Attorney Go Into Effect? When you no longer have the capacity to make your own healthcare decisions, your medical power of attorney goes into effect. This “capacity” is usually determined by your doctor, and can include being unable to understand the consequences of your healthcare decisions, or an inability to communicate your wishes through speaking, writing, or gestures. In many cases it is obvious that someone is so ill or injured that the healthcare power of attorney will immediately go into effect, if there is any question as to your capacity, your doctor will need to make a determination. What Topics Should a Medical Power of Attorney Cover? No one likes to think about being unable to make their own medical decisions, or having to choose between drastic medical procedures. However, getting specific with your medical power of attorney can be helpful for solidifying your views on future medical treatment, and for providing your agent with more information and scenarios that will be helpful in them choosing treatment for you. Thinking about whether you would want to be kept alive on a machine if you have no cognitive responses, if you want a feeding tube, where you want to live if you have dementia, and if you want your organs donated after you die. Many of these decisions need to be made quickly, so being more specific with your plan is helpful for your agent. You also should make clear where you would like to be living when you receive care; do you want to be in a nursing home, or stay in your home with a hired home health care worker? Do you want your agent to be able to apply for benefits in your name, approve the release of your medical records, or even move you to another state to receive care? Your healthcare power of attorney can also designate who has the power to make your final arrangements, called the Right of Sepulcher. These are all topics that you should cover when drafting a healthcare power of attorney. 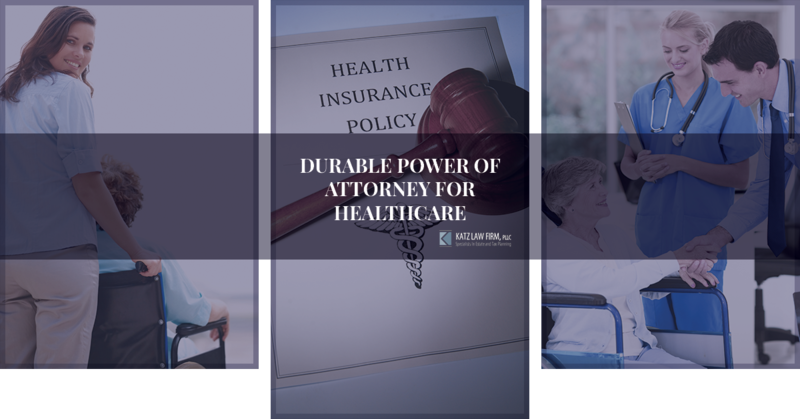 Not only does a durable power of attorney for healthcare give you the peace of mind that your wishes will be carried out if you are incapacitated, it gives your family the peace of mind that they are making the decisions you would want. Having a family member who is physically and mentally incapacitated and cannot make their own decisions can be incredibly stressful, and can often make someone feel guilty about medical directives. When you have a clear power of attorney that outlines your medical and end of life preferences, you eliminate the guessing from the equation and give your loved ones clear directives to follow. Don’t wait to choose a healthcare agent and draft the necessary paperwork; you don’t know when you will need your family members to make medical decisions for you. Using an lawyer when working out the details of a durable power of attorney for healthcare can eliminate stress and uncertainty from the equation and help you understand exactly what your documents cover. If you are in need of estate planning in Cedarhurst, Katz Law Firm would love to assist you—call us today!